​Brighton face Bournemouth at the American Express Community Stadium on Saturday looking to put their FA Cup semi final defeat to Manchester City behind them. While the Seagulls were so close to another Wembley trip, they now need to refocus and secure their Premier League survival with a home win against Bournemouth. 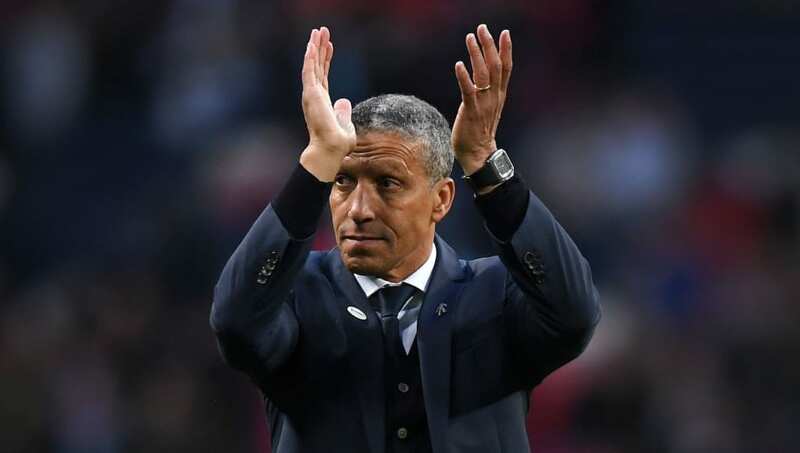 Brighton have won just two Premier League matches in 2019, but manager Chris Hughton will be hoping that their cup run can serve as inspiration as they look to get over the line in their second season in England's top division. Mat Ryan (GK) - While Brighton's have struggled for form this season, Ryan has continued to impress between the sticks. He made a couple of excellent saves to keep the Seagulls in with a chance of making the FA Cup final, and was unlikely to be on the losing side. Martin Montoya (RB) - The former Barcelona and Inter defender has been generally solid and dependable this season. Will face a tough ask on Saturday mind you, against speedy assist king Ryan Fraser. Shane Duffy (CB) - The Republic of Ireland international has been a real success story since joining from Blackburn Rovers and will certainly continue at the heart of Brighton's defence. Lewis Dunk (CB) - The other half of Brighton's sizeable centre back pairing, Dunk has continued to perform well this season and won his first England cap in November. Bernardo (LB) - The talented Brazilian's summer transfer from RB Leipzig was regarded as somewhat of a coup on the south coast, and he has generally performed well. His versatility has been praised by Hughton, with a midfield role likely in the future. Yves Bissouma (CM) - Endured a relatively slow start to his Brighton career, but has impressed in recent weeks and has started their last five matches in all competitions. Should keep his place despite Pascal Groß returning to fitness. Dale Stephens (CM) - An important man for Brighton who came through the lower leagues before joining the club in 2014. The steady distributor from deep will need to play his part against a fluent Bournemouth midfield. Davy Propper (CM) - Another consistent midfield performer for Brighton since arrivingl after their promotion. Will have to provide more attacking support in the absence of Groß. ​Anthony Knockeart (RW) - Has only replicated his Championship form in short bursts since promotion, but remains a very talented player. Will probably start ahead of the fit-again Solly March. Glenn Murray (ST) - Has once again caused Premier League defenders problems this season with his poacher like instincts. Has only scored one Premier League goal in his last six, but likely to start ahead of starting berth competitor Florin Andone. Alireza Jahanbakhsh (LW) - Has failed to live up to expectations since joining the club in a big money move. Has only made eight starts, but has looked more promising in recent weeks.